Something came in the inbox which I'm eager to share out today for all you shoppers. 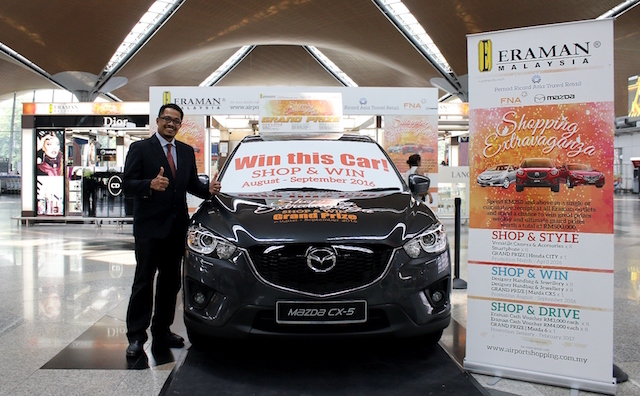 ERAMAN, the largest airport travel retail and duty free market operator in Malaysia announced the second phase of the ERAMAN SHOPPING EXTRAVAGANZA, ‘Shop & Win Contest’, where patrons and shoppers will stand a chance to win stylish designer handbags, dazzle in exclusive jewellery, or drive home a brand new Mazda CX5! To be in the running to win, shoppers only need to spend a minimum of RM250 in a single or cumulative receipts, and fill in the contest form when they shop at any of the participating ERAMAN outlets throughout our International Airport, Kuala Lumpur, Kuching, Kota Kinabalu, Penang and Langkawi, Domestic Airport, Labuan, Kota Bharu, KLIA2 and Gateway@KLIA2. This time around, Platinum sponsor Pernod Ricard will be offering an additional entry form and the added advantage of winning prizes that include the latest smart phones and gadgets for its customers. In order to enter the lucky draw shoppers must purchase selected liquor brands Martell, Chivas Regal &Royal Salute. 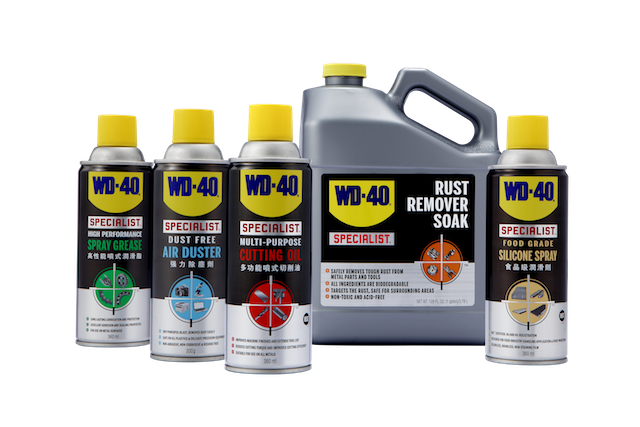 In addition to the chance of winning these exceptional prizes, the consumer will receive either a 20% discount for the purchase of one bottle OR, 25% for two bottles purchased. In conjunction with the contest, FNA Marketing (M) Malaysia Sdn. Bhd., Silver sponsor, is also offering special MONDELEZ promotion on its branded chocolates such as Daim – Buy 4 get 1 free, Toblerone Assorted Bar – Buy 3 get 1 free, Cadbury Bar – Buy 4 get 1 free, Cadbury Luxury Selection Tower Pack – Buy 3 get 1 free and Milka Assorted Promo Bag – Buy 3 get 1 free, as well as Oreo Pouch Promo Bag and many more. The first phase of ERAMAN’s Shopping Extravaganza, ‘Shop & Style’, which ran between the months of March and April, received more than 50,000 entries. In the end, Lee Kai Kwong from Malaysia drove home with the Grand Prize – a brand new Honda City 1.5S – a reward for his purchase in a single receipt from ERAMAN Duty Free Emporium at Contact Pier, Kuala Lumpur International Airport. Meanwhile, Ms. Wu Hong Fei from China won a holiday to Scotland, as the winner of the Pernod Ricard Grand Prize.